KARACHI: When the ‘remake’ of Maula Jatt was announced, it seemed Bilal Lashari was aiming to stylise the Gandasa film genre. 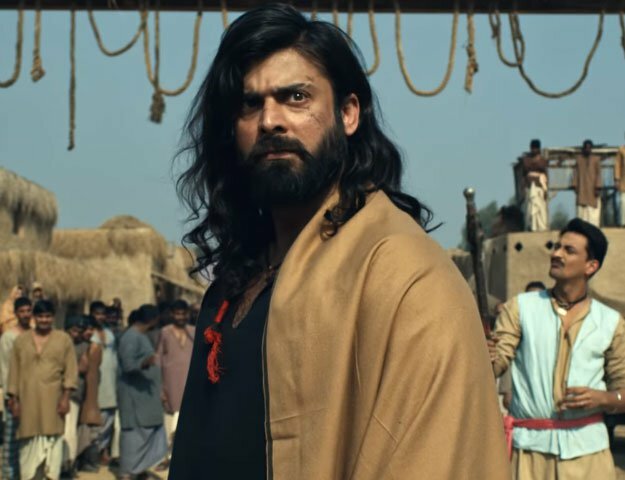 But now that he has announced to cast Fawad Khan as Maula Jatt and Hamza Ali Abbasi as Noori Nath, it’s clear he is aiming for a lot more; he is aiming to redefine the quintessential Punjabi hero. “Our Punjabi hero has always roamed around Chaati phula kay, aasstenain charha kay (with his chest puffed, sleeves folded) and that has become our style. And I felt that we were trying too hard to make a hero,” says Bilal in a conversation with The Express Tribune. Bilal has known Fawad since school days and knows a very rebellious and aggressive side to the so-called romantic hero. That was perhaps why he had Fawad in mind for Maula Jatt even before Waar was released. For Bilal, Fawad’s Khoobsurat image will not prove to be a hindrance in way of Maula Jatt. He is quite optimistic that nothing bad can come out of Fawad’s ever-growing fame and image. However, the cult followers of the franchise may like to differ and draw parallels between Sultan Rahi and Fawad Khan. But Maula Jatt can never be complete without his arch-rival, Noori Nath, the one character from Lollywood everyone loves to hate. “Noori is a really important character. In fact, in the original film, Mustafa Qureshi sb, who played Noori, struck a stronger connection with the audience and it was also the first time people fell in love with a villain,” notes Bilal and it was this evil charm in Noori that made him get his friend and actor Hamza Ali Abbasi on board. Dealing with someone like Hamza can be a tricky affair especially with his own character being so dominating, opinionated and all over … facebook. “I think he will make an even better villain on screen than he is on facebook,” Bilal says as he breaks into a hearty laugh. “I think he will bring that (his facebook persona) to the table itself but the character and dialogues themselves are so powerful that I think he is going to nail it. People will forget the old Noori Nath,” the director says confidently. Be it Achilles and Hector or Joker and Batman, the most important aspect of the any iconic villain-duo is the manner in which they complement each other and that holds true for Maula Jatt and Noori Nath as well .